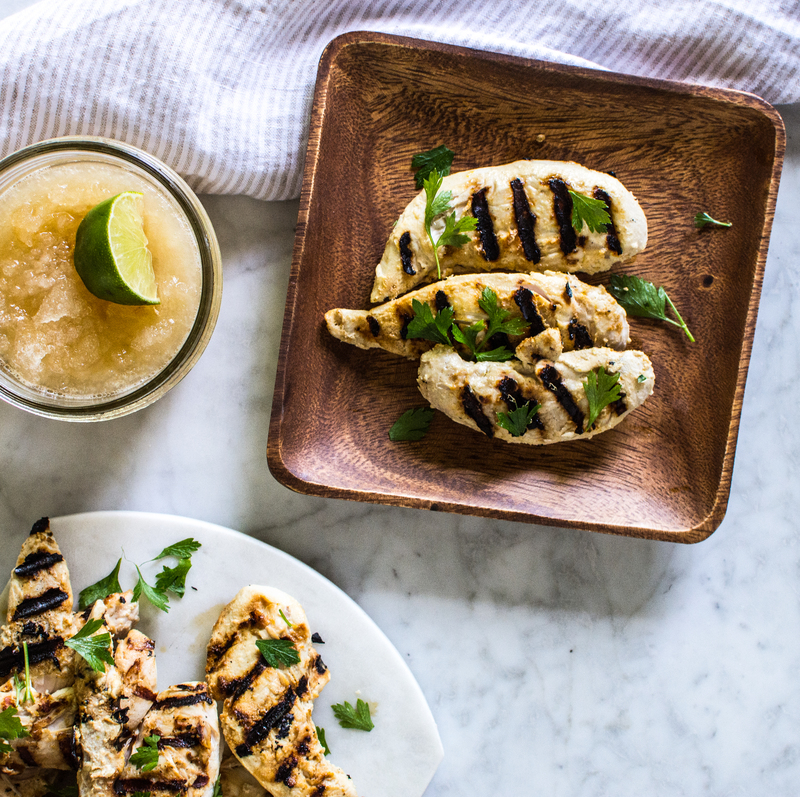 Grilling season– it’s here and it’s one of my favorite times of the year. What better way to ring in the season of outdoor cooking over flames than with a family friendly, minimal mess and flavor packed recipe? I know you couldn’t agree more. There is no chopping involved, only crushing 5 garlic cloves. It serves a lot and, the recipe is easily able to be doubled if need be. Clean-up is a cinch, especially if the marinade is placed in a large sealable bag. It marinates overnight in a yogurt marinade of ginger, garlic, ground mustard and Dijon mustard, which creates layers of flavor and juicy tenderness. The subtle sweetness of lemon zest and tanginess of yogurt brightens up every bite, ready to please a large crowd of dinner guests. I do want to expand on point #4. If you’ve never used a yogurt marinade prepare yourself for a life changing flavor. 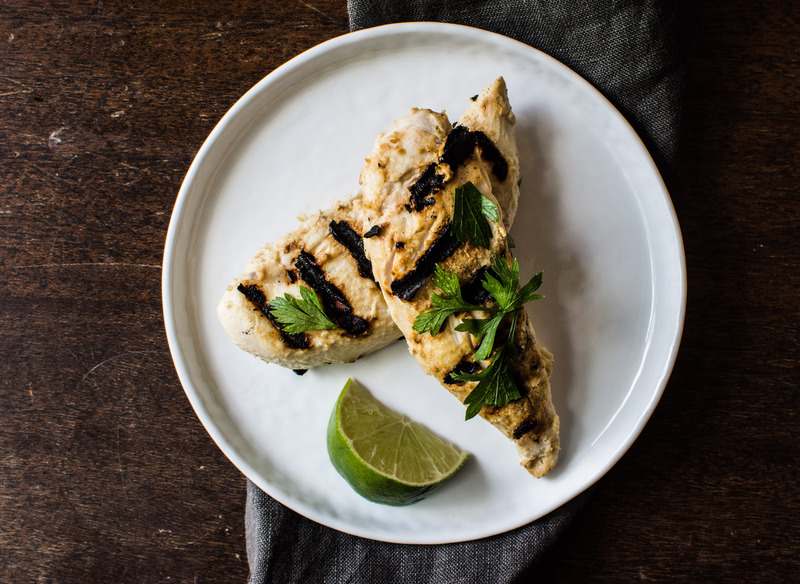 Yogurt tenderizes chicken differently than regular acid-based marinades. Plus, the yogurt, creates an addictive crust once cooked over high heat. 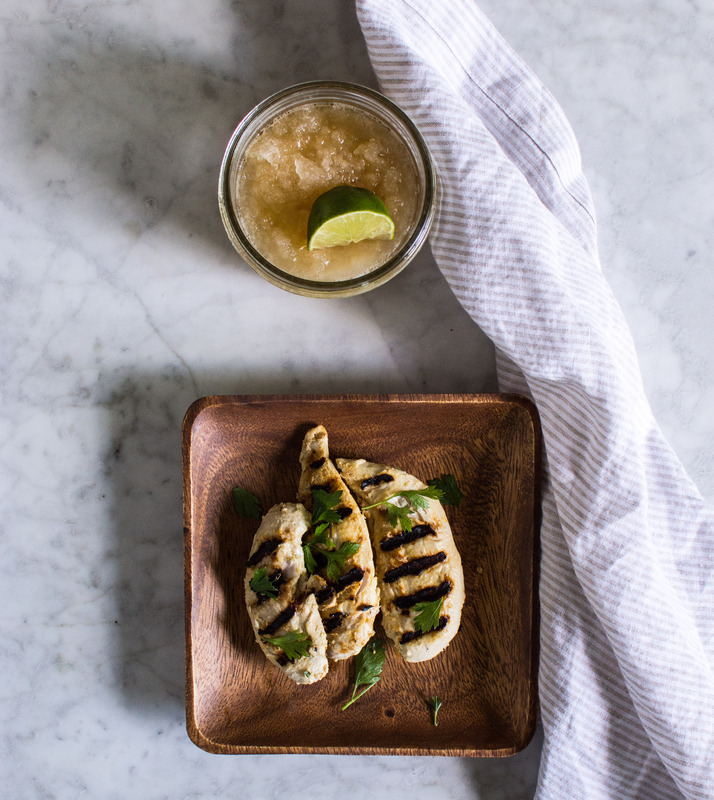 Don’t forget– the longer you marinate, the more flavorful and tender the chicken becomes. Aim for about 12 hours of marinating. This particular yogurt marinade I could talk about for a looooong time. The combination of yogurt + two different types of mustard + ground ginger is on point. Be sure to grab plain yogurt at Market Street while doing your ingredient pick-up. 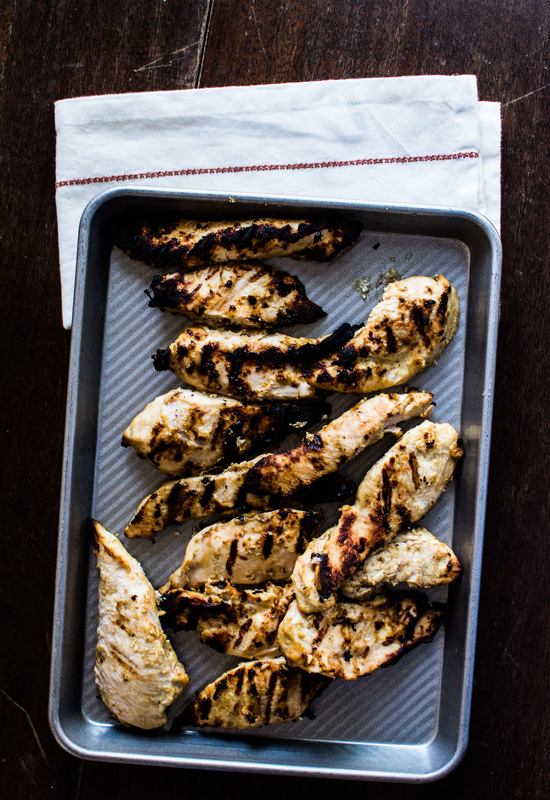 Greek yogurt works fine, but it doesn’t coat the chicken as well due to its lack of moisture. Also, while you’re at Market Street, don’t forget to grab a couple of extra bags of charcoal. 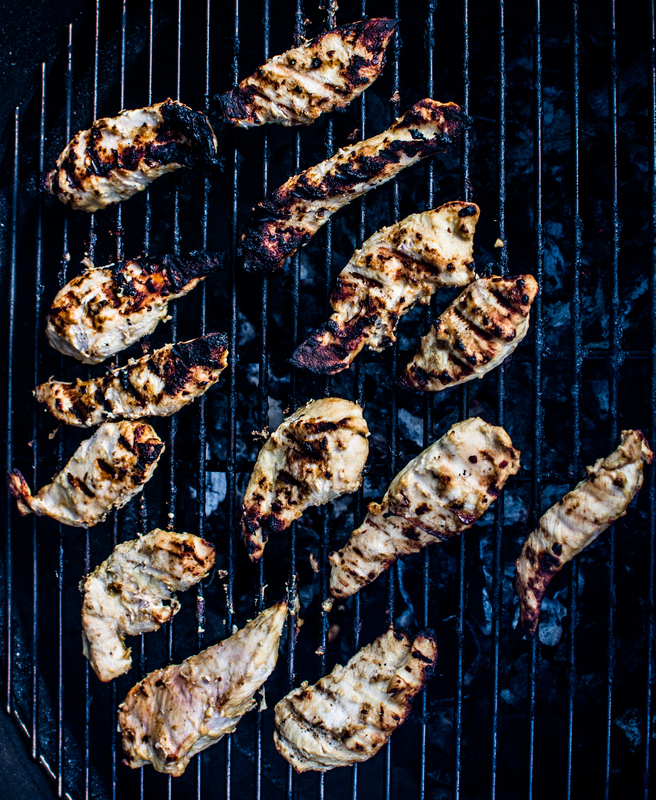 Grilling season has begun, and I have a hearty handful of grilling recipes to keep you busy all summer long. Light up the grill and roll out the bug spray. It’s grilling time in Texas and you don’t want to miss out. Use these chicken tenders as a delicious and easy way to usher in one of the most wonderful times of the year. Oh, and if you’re looking for a crowd pleasing drink to go along with these tenders, check out Tea Limeade Jar Slushes (click link here for recipe). In a large bowl, combine all ingredients except for the chicken and parsley. Stir well. Add the chicken tenders to the yogurt marinade. Make sure the tenders are completely covered with the mixture. 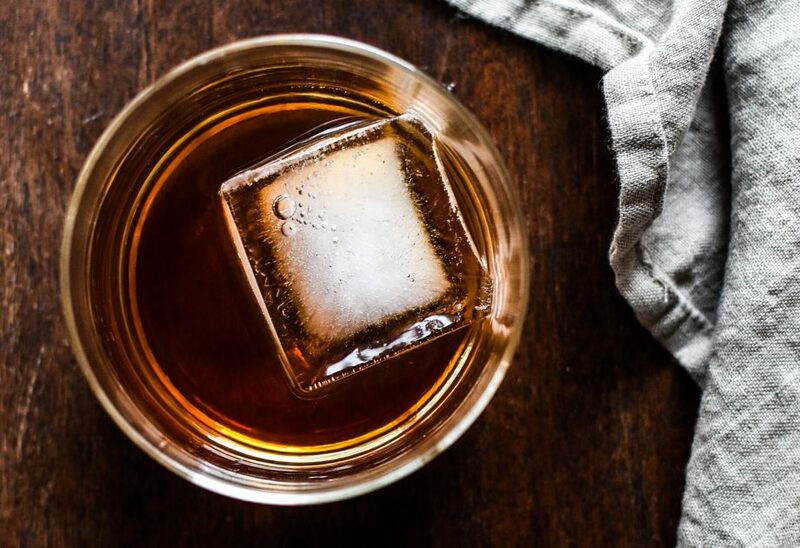 Cover and place in the fridge overnight or at least 8 hours. 30 minutes before grilling remove the chicken from the fridge. Heat the grill to 350-400 degrees. Remove the chicken from the grill. Serve warm topped with chopped fresh parsley. This entry was tagged A Pleasant Little Kitchen grilled yogurt chicken tenders, dallas food blog, dallas food blogger, grilled yogurt chicken tenders, marinating with yogurt, texas food blog, texas food blogger, yogurt chicken, yogurt chicken tenders, yogurt marinade for chicken. Bookmark the permalink.